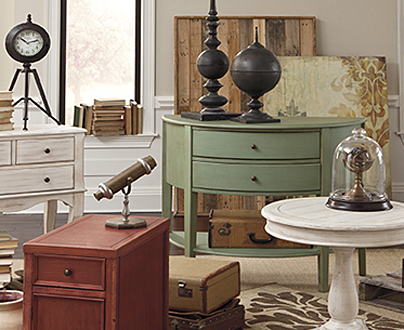 Budget-conscious New York area home furniture shoppers like you know that when you want sharp-looking re-imaginings of timeless interior design themes, Ashley furniture is your go-to brand. 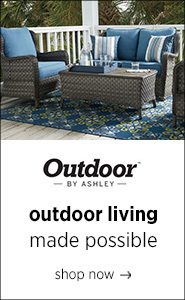 Not only are Ashley’s living room furniture, dining sets, and bedroom ensembles for all ages smart and durable, but because they come from America’s biggest name in furniture, All Brands can keep a full stock in-store and quickly get you anything that might not be on the floor at the moment. 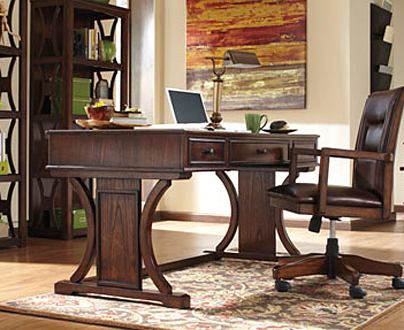 Here are just a few examples of how Ashley furniture will renew your home’s look while you save big! 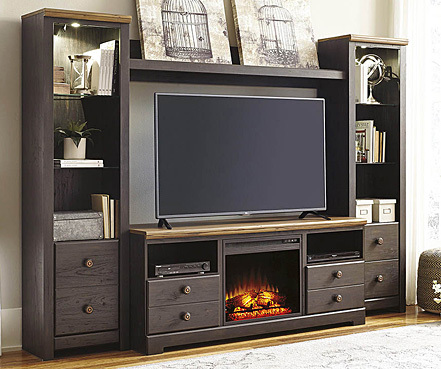 When you need your living room furniture to echo retro themes but reflect your contemporary lifestyle, Ashley furniture has got the designs and colors to make it happen. For example, sofa and loveseat combos inspired by mid-century coolness will capture your heart with their sheer simplicity wedded to unparalleled comfort. Details like setback arms and T-shaped seat cushion add immeasurably to your living room’s appeal, subtly conveying your excellent taste to your guests. 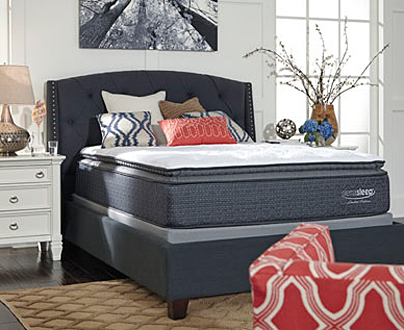 Better still, the resilient foam cushions will last many years, topped with easy-to-maintain nylon/polyester upholstery. 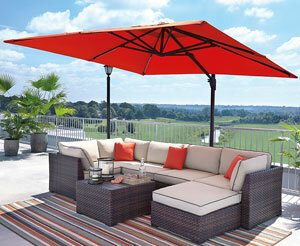 Put your feet up on one of our exquisite oversize living room ottomans topped with microfiber polyester. With Ashley furniture’s practical construction, even an active household with kids underfoot can look like a photo shoot from a design magazine! 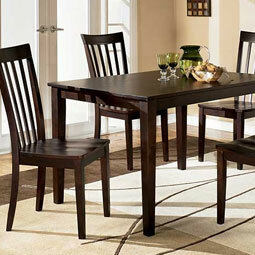 Relax and enjoy a home-cooked meal amid the cool dignity of Ashley dining room furniture. Our ever-popular 5-piece dining room sets, which can easily be augmented with matching benches, popular with kids, boast vintage details such as tapering legs accentuating crisp, clean lines. Beautiful veneers boast a rich brown finish, and the accompanying dining room chairs are perfect for families thanks to their very cleanable microfiber upholstery. 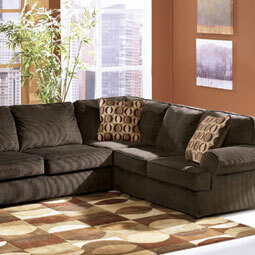 Ashley furniture makes outfitting or upgrading your home’s look so much fun, and yes, you CAN afford it! At All Brands, low prices are a daily phenomenon. Check out the links on our site, then visit our Perth Amboy, NJ store or our other New Jersey locations.